Argan oil is renowned for its health and beauty benefits. It’s rich in Vitamins A, C and E, as well as being packed with antioxidants, linoleic acids and omega-6. The oil is cold pressed from a nut that dwells inside the fruit of the Moroccan Argan Tree. The oil is mostly used as a dietary supplement, for wound healing, and for nourishing the skin and hair. Argan oil is known both for healing acne and symptoms of dermatitis. Its high linoleic acid content acts as an anti inflammatory, and also contains Vitamin E, a powerful antioxidant. Moroccans have famously used Argan oil for centuries to prevent the signs of premature ageing – such as wrinkles and crows feet. The high fatty acid content (roughly 80%) is amazing for helping skin to retain moisture. 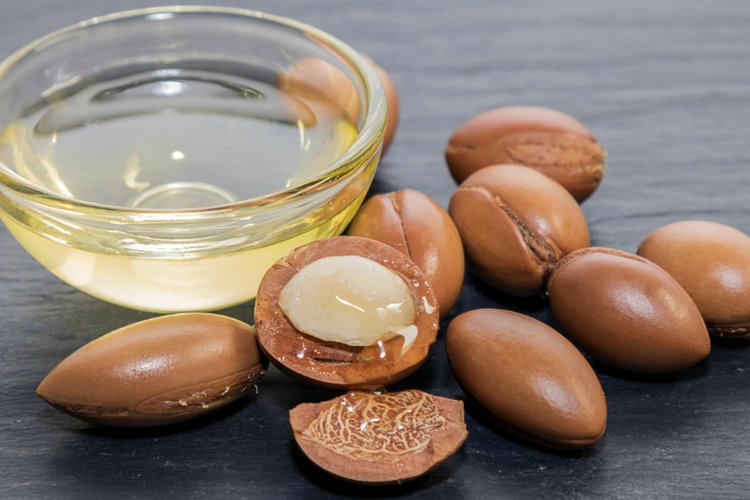 Culinary grade Argan oil can help lower cholesterol. The unique combination of plant sterols in the oil actually blocks bad cholesterol from being absorbed into the intestinal tract. Arthritis relief can be found due to the flavonoids within the oil, which are a powerful anti-inflammatory. A few drops of the oil massaged directly onto the affected area can provide relief. This is probably the most well-known benefit of Argan oil in the western world – it’s abundant in hair care products! The oil can help repair split ends, tames frizz and flyaways, and is a perfect protector before using heat. It can also be used as a leave-in conditioner to achieve those perfect shiny locks. You can get your very own bottle of authentic Argan oil when you book a retreat with us to Morocco, where we’ll be surfing it up on the 16th-23rd & 23rd-30th September 2017!